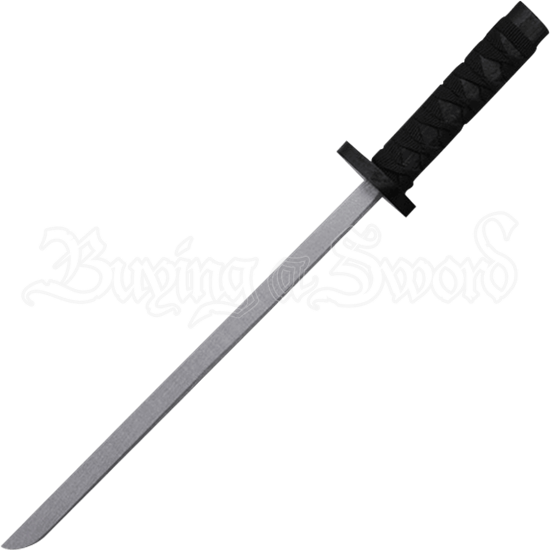 An excellent training blade for the modern ninja, this Wooden Practice Ninjato has a short wooden blade for close quarters combat and secretive maneuvers. This lightweight wooden sword also makes a fantastic addition to any costume. The single edged blade has been painted metallic silver, contrasting with the black guard and handle. The handle and scabbard are wrapped with nylon cord. Perfect for cosplay outfits, combat training, and theatrical productions, the Wooden Practice Katana is great for all ages.